This Lee Classic Turret Press has all the features of the award-winning Turret Press with quality touches that make this the finest, most convenient press to own. 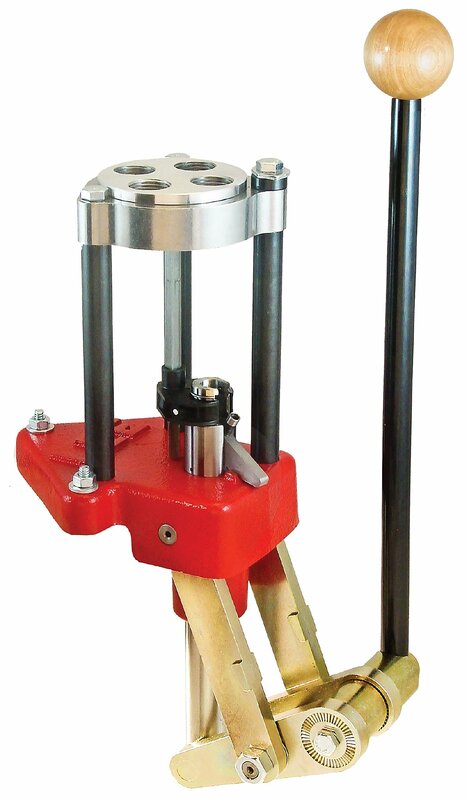 The Classic Turret features the solid steel linkage of the Lee Classic Cast. Your first stroke of the hardwood gripped lever will convince you this is one, solid silky smooth press! The sturdy iron base shows its Classic Cast roots. The long stroke allows rifle cases over three inches long to be loaded using the automatic index. Deactivate the Auto-Index and cases as long as the monster 50 BMG can be loaded. The rigid cast iron frame supports the ram with over 12 square inches of area. The industry's largest ram is drilled completely through to dispense primers in an attached clear PVC tube. Every primer is caught--guaranteed. 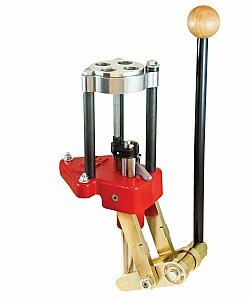 Walter from California writes; Great piece of reloading equipment. I have loaded over 200 rounds per hour with it and have no doubt I can get to 250 without pushing. The Lee Safety Prime is a wonderful addition to their line--positive priming with every push of the trigger. And for a beginner, the Lee Factory Crimp Die takes all the mystery out of crimping for revolvers or semi-autos. I load 9mm, .38 Special, .357 Magnum and .45 ACP. I heartily recommend the Lee Classic Turret Press and the DeLuxe Pistol Die Sets of your choice. Awesome stuff! Sue Kempf was very helpful when I had questions--everything shipped on time and in great shape. Thanks, Sue!